Home / UBC Dialogues: Can developing nations lead the movement towards climate solutions? UBC Dialogues: Can developing nations lead the movement towards climate solutions? Webcast sponsored by the Irving K. Barber Learning Centre. At the December 2015 Paris climate conference (COP21), 195 countries agreed to reduce their carbon emissions and limit global climate change. While the agreement was ambitious, it also recognized that less developed countries would require more time to begin reducing their emissions. While some question whether it is fair to hold them to the same standard as societies that grew wealthy from carbon-driven industry, it is also clear that many of these countries have the most to lose. What structural changes need to be made to allow less developed countries to combat climate change as equal partners? Are there technologies that will allow them to leapfrog carbon and achieve sustainable economic growth? Join us for a provocative UBC Dialogues program where experts will examine the challenges and opportunities facing less developed countries in the years ahead. This event took place at the Telus garden on September 19, 2016. 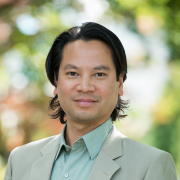 Martino Tran– Assistant Professor, UBC School of Community and Regional Planning (SCARP); Associate Faculty Member, UBC Department of Civil Engineering. Lisa Johnson is a reporter for CBC News in Vancouver. She specializes in science and environment stories, from E. coli and isotopes to carbon offsets and killer whales. As a general assignment news reporter, she’s also covered kidnappings, earthquakes, and has won a RTDNA award for her live reports from the Stanley Cup Riot. Before she became a storyteller, Lisa thought she was going to be a scientist. She graduated from UBC with an Honours degree in biology after pipetting stickleback DNA, counting kelp, and watching fish mating dances. She returned to UBC for her master’s in journalism, focusing on science and risk communications. She still takes interest in things that many journalists hate, including animal carcasses and math. 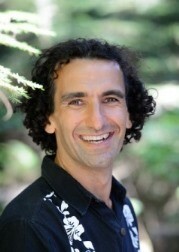 Simon is an Associate Professor in the Department of Geography at UBC, as well as an associate in UBC’s Liu Institute for Global Issues, Biodiversity Research Centre and Institute for Resources, Environment and Sustainability and the Atmospheric Sciences Program. He came to UBC after a few years in the Science, Technology and Environment Program in the Woodrow Wilson School for Public and International Affairs at Princeton University.  He spent his undergraduate days at McMaster University in Hamilton, Ontario. He also did a master’s degree in the Nicholas School of the Environment at Duke University and a PhD in Atmospheric and Oceanic Sciences at the University of Wisconsin with the Center for Sustainability and the Global Environment. 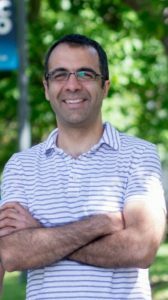 Sumeet Gulati is the Associate Professor in Environmental and Resource Economics at the University of British Columbia, studying the economics of urban transportation. Sumeet completed his BA in Economics at the University of Mumbai and then his Masters at the University of Delhi before moving to the USA to complete his PhD in Agricultural and Resource Economics from the University of Maryland. Sumeet’s other research interests include; the impact of international trade on the environment, the effectiveness of Carbon Taxes and the Environmental Policy and the cost-effectiveness of programs designed to improve energy–efficiency. Along with his co-authors Sumeet asks: at their modest values, do carbon taxes reduce gasoline consumption? Do they encourage people to buy fuel efficient vehicles? Do older consumers, especially women, perform better or worse while negotiating a price for a new car? What are the economics of car sharing—like Car2Go, and Evo? And what explains the autonomous emergence of electric rickshaws in India? 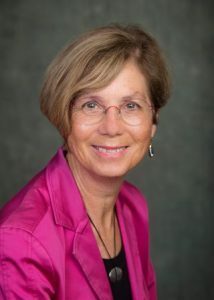 Dr. Sybil Seitzinger is the executive director of the Pacific Institute for Climate Solutions and a professor in the School of Environmental Studies. Dr. Seitzinger holds a PhD in biological oceanography from the University of Rhode Island and is an elected member of the American Academy of Arts and Sciences. She is highly cited, with more than 130 peer-reviewed publications to her credit. Her research has centered on nutrient biogeochemistry in coastal marine and freshwater ecosystems, spanning a range of spatial scales from molecular level organic chemical characterization to models at global scales, with the impact of human activities being a common theme. Through an international collaboration, a spatially explicit, multi-nutrient, watershed model, Global NEWS, was developed which has been applied to watersheds globally under a range of scenarios. She has also dabbled in atmospheric chemistry, including aqueous phase secondary organic aerosol formation. 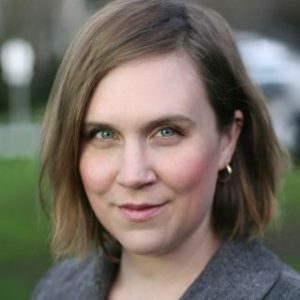 Dr. Seitzinger joins UVic from her position as executive director of the International Geosphere-Biosphere Programme (IGBP) based in Stockholm, Sweden. Her work at the IGBP involved facilitating and integrating the work of scientists and researchers across Africa, the Americas, Asia-Pacific and Europe on global environmental change. Prior to that, she was director of the Rutgers/NOAA Cooperative Marine Education and Research Program and visiting professor at Rutgers University in the US. She served as president of the American Society of Limnology and Oceanography from 2006-2010. Martino is Assistant Professor in Environmental Systems Science at the School of Community and Regional Planning and Associate Faculty Member in the Department of Civil Engineering, Faculty of Applied Science. He is a Canada Research Chair nominee in Urban Systems and Co-Director on the Master of Engineering Leadership (MEL) at the University of British Columbia (UBC). He is also a Visiting Research Associate at the Environmental Change Institute and a former Oxford Martin Fellow at the University of Oxford. He is broadly interested in applying environmental systems and engineering sciences for tackling societal challenges in energy and sustainability. This includes the application of systems theory, techno-economic analysis, and complex networks to assess long-term sustainability, risk and resilience in urban systems. Much of his work focuses on developing multi-scale decision support systems and integrated assessment modelling to inform climate and energy policy. Current focus areas include sustainable energy and transport systems, and interdependent infrastructure networks. He also lectures on Cities and Climate Change (PLAN 548S), and Urban Systems Analysis and Planning (URSY 520) at UBC. Before arriving to UBC, Martino provided technical leadership and management for the UK Infrastructure Transitions Research Consortium (ITRC) a $10M program grant funded by the UK Engineering and Physical Sciences Research Council (EPSRC). He was responsible for integrated assessment focusing on model calibration, validation and simulation. He also made novel contributions to the development of multi-attribute, cross-sector performance metrics, and visualization techniques to assess infrastructure risk and interdependency. This work contributed to the first national infrastructure systems modelling capability to inform the UK government’s National Infrastructure Plan. Martino has also led research for academia and industry on the large-scale deployment of smart energy and transport technologies, and has advised UNEP, UNDP and Hitachi Europe’s Smart Cities Program. He also collaborates with the UK Energy Research Centre (UKERC) tasked with informing UK energy and climate policy. He is a regular peer reviewer for Science and Nature. Martino completed his PhD in Environmental Science specializing in mathematical modelling as an Oxford Martin Fellow jointly led by Engineering Sciences and the School of Geography and Environment, University of Oxford. His thesis applied systems engineering and complex network theory to model the long-term techno-economic performance of alternative fuelled vehicles for climate change mitigation. He received a European Commission Erasmus Mundus scholarship completing a MSc in Environmental Science at Lund University, Sweden specializing in energy systems analysis. Before academia he worked in industry focusing on environmental impact assessment for major energy and transport infrastructure projects.